Crown-tipped Coral (Clavicornona pyxidata aka Artomyces pyxidatus). 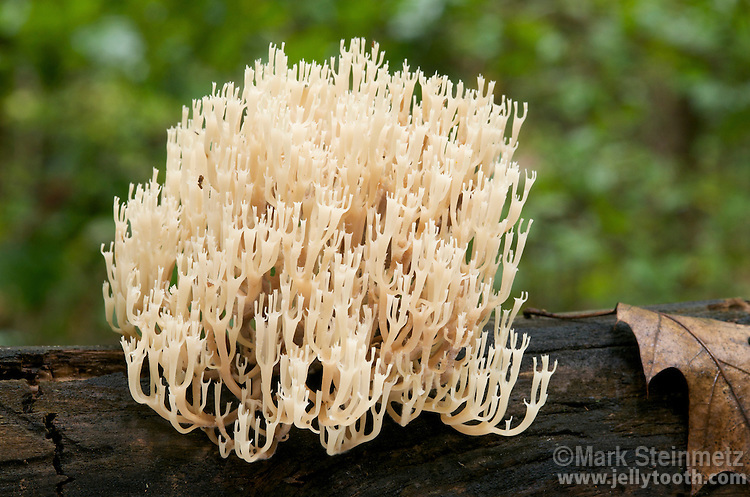 One of the few coral mushrooms to grown on wood, also easily recognized by its box-like crowned tips. Delaware County, Ohio, USA.